Please also visit my website for more artwork and items for sale. My artistic journey started when I was very young, and developed through drawing realistic flowers from the bushland around Newcastle, my dogs, and onto using photos from books to draw animals and birds. The Manning River Airforce Association has a huge framed eagle that I drew using lead pencils (all my non-textile artworks are done in my maiden name of Coppock). My introduction into combining art and textiles came during primary school. From there my art progressed using acrylics (and one or two oil paintings). It was during this time that I pulled an interesting article out of a magazine (and I still have the article) detailing the winning work “Coastal Banksia” by Annemieke Mein. Here was drawing combined with sewing to create something realistic! I learned silk painting techniques with Colleen Weste, and later did a further workshop with her covering Shibori techniques. The possibilities were now starting to come together. 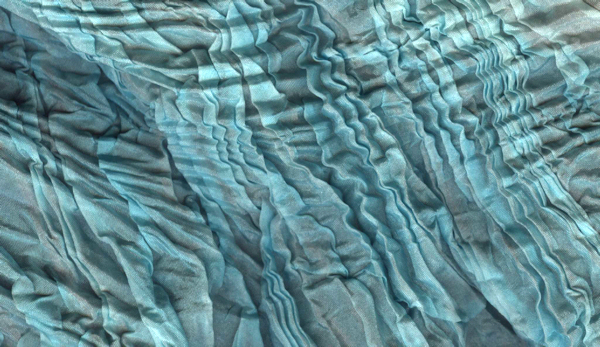 Double Arashi Shibori – silk painting. A pivotal point in discovering just what was possible was finding in 1992 the book “The Art of Annemieke Mein” – of course, my ordered copy arrived the day after I had the opportunity to hear Annemieke talk at The Monash Gallery of Art. Standing before Annemieke’s works “in the flesh” was absolutely inspirational! In 2000 I attended “Embroidery 2000” in Auckland, New Zealand. There I spent a week with textile artist Carol Wilkes learning to sew and embroider outside my comfort zone, and for that I thank her immensely. At the end of the week Carol told me that I should be looking to do more three dimensional work – she must have seen something in me that I hadn’t as yet discovered! It was also around this time that my journey into drafting clothing began with Ann-Michelle Grose at The Designer Stitch School of Fashion and Design. Ann-Michelle made this journey most fun and was another to push me outside my comfort zone (for which I thank her also). Because of Ann-Michelle, I entered work into The Australian Gown of the Year in 2001 – an experience to say the least… From there it was onwards to The Australian Wool Fashion Awards, The Flair Fashion Awards and Art to Wear. Outfit for Australian Gown of the Year. At the end of September 2003 I attended a week-long workshop in Geelong by textile artist Ken Smith entitled “Into the Woods”. My eyes were further opened into a world of three dimensional possibilities which I have since further developed (see my Gallery via the tab at the top of this page). Into the Woods – my sample from the workshop. In January 2008 I attended workshops by Dale Rollerson (of The Thread Studio) and Sue Senewiratne, and in July 2008 a 4 day workshop by Kath Wilkinson. Learning from other artists should always be ongoing. I also attend the Machine Embroidery guidance group at The Embroiderers Guild VIC through which I gain much inspiration. 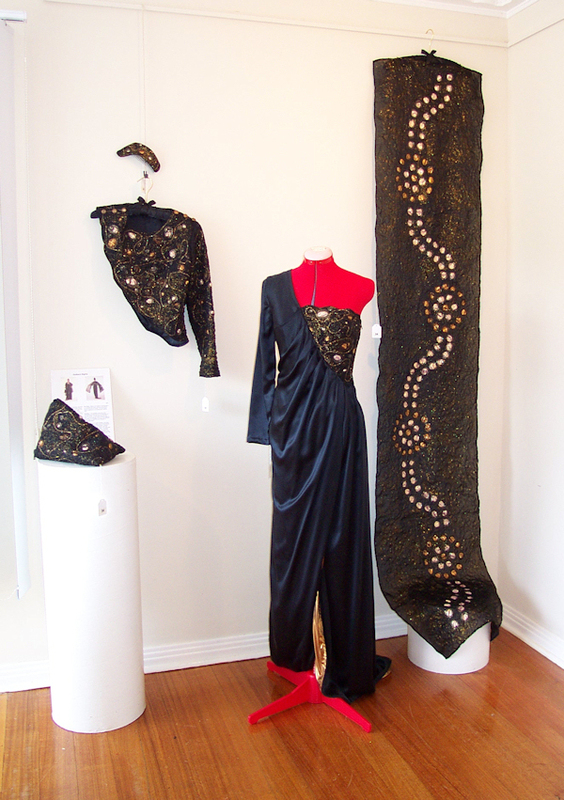 2011 and 2012 saw me complete “Art & Design”- a course run through The Embroiderers Guild VIC (tutor Marianne Little) – which has helped me further re-discover my creativity. More recently I have been editing “Embellish” magazine – a wonderful Australian textile art publication available through ArtWear Publications Pty Ltd. I will also be returning to do a little teaching again. 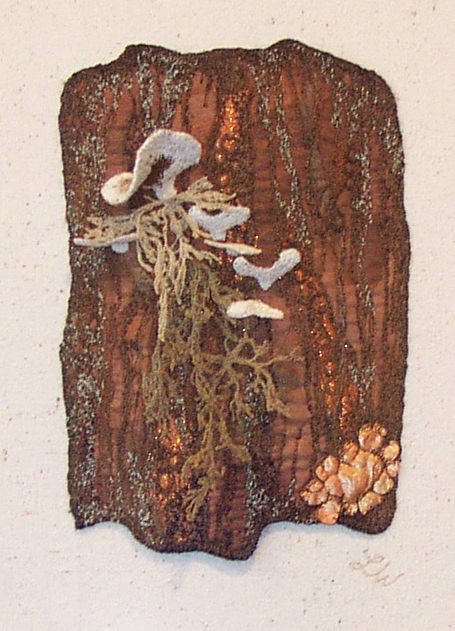 My journey in Textile Art is ongoing and I’d love you to join me on it!